have 4 uniquely decorated apartments. just a seashell's throw from the FREE beach and FABULOUS boardwalk !! and a fully equipped kitchen.This apt. sleeps 6 comfortably. 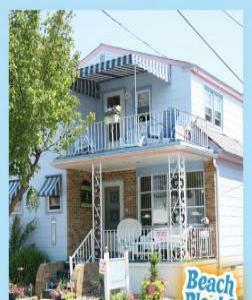 bedrooms and 1 bath and sleeps 4-6 comfortably. and and "sea" this is the place you want to be!!! The Most affordable place to vacation with extra goodies!! We have 4 amazing and unique apartments for you to choose. 4 beach chairs, beach umbrella,lending library, coolers , games. equipment that takes up room in the car. You won't pay 14 % tax, cause you provide the linens !